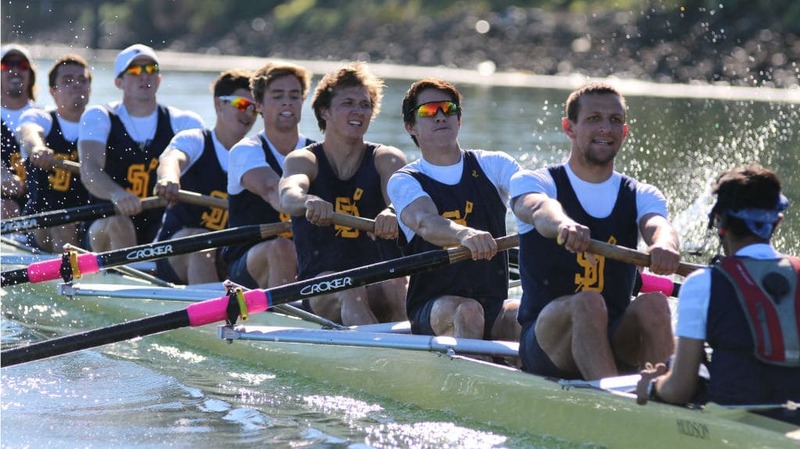 Several of UCSD’s boats obtain top three finishes in the Grand Final, concluding a successful weekend for the rowing teams. 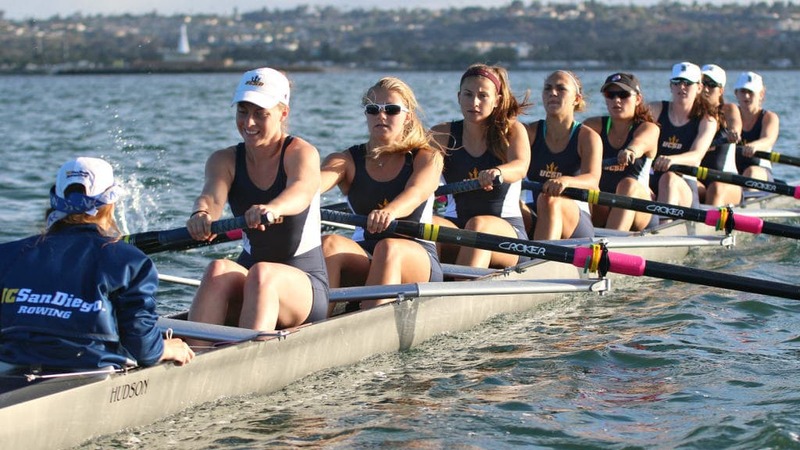 Both the women and men’s teams representing the junior varsity eight crew boats were extremely successful in this past weekend’s Western Intercollegiate Rowing Association Championships held at Lake Natoma, California. The men’s team won its grand final, while the women’s team was the runner-up in its final race, leading a strong UCSD performance overall. Elsewhere, the men’s varsity eight and novice eight put out respectable performances as the men’s teams both took sixth place, while the women’s teams managed two third-place finishes in the varsity eight and varsity four, respectively. It was a very impressive match for the women’s teams as they placed highly among their competitors after qualifying three boats for the grand final on Saturday. In the varsity eight, the contingent of senior coxswain Catherine Sheffler, senior Kelly Peterson, freshman Jessica Levesque, freshman Catherine Mosher, junior Nicole Hammonds, sophomore Amber Harris, sophomore Jordan Levy, freshman Olivia Koyama and junior Madison Kohlenberger pushed hard to take an impressive third place with a time of 7 minutes and 11.10 seconds. They were narrowly edged out by a strong UC Santa Barbara unit who managed a 7:05.4 time and second-place Humboldt State. The varsity four crew consisting of freshman Tori Wong, sophomore Jennifer Dutton, sophomore Lauren Iannetta, senior Kimberly McCune and senior Claire Duesdieker also took home third place with a time of 8:03.5, only bested by Western Washington University in first place and Humboldt State again in second. It was the JV eight, however, who stole the show. The crew of coxswain freshman Juliana Burns, junior Shruti Kamath, freshman Janell Ingersoll, senior Emma Purcell, senior Natalia Royal, sophomore Carolyn Montellato, senior Christina Nilles, senior Nicole Arkosy and freshman Juliane Smith finished in second place with a time of 7:35.8, barely beaten by UCSB, which finished with a time of 7:34.7. The men’s side qualified four boats for the grand final on Sunday, with both the varsity and novice eight boats finishing in sixth place in their grand finals. In the varsity eight, the team of senior coxswain Sean Dougherty, junior Scott Kennedy, sophomore Matt Thalken, freshman Kevin Chang, junior Anton Hedayat, junior Daniel Mahan, freshman Gabriel Lane, sophomore Andy Marshall and sophomore CD Dowling placed sixth with a time of 6:29.5, while UC Irvine won the race with a time of 6:12.5. The novice eight, featuring freshman coxswain Lily Ouyang, freshmen Chaz Woxland, William Liu, Tucker Cecil, Elijah Danielson, Michael Landheer, Tyler Bailey, Anthony Chivetta and Jorge Arteaga also took sixth place with a time of 6:42.2, with Santa Clara University winning with a time of 6:17.2. The best result of the meet came from the men’s JV eight who took first place with a time of 6:18.8. The team consisting of sophomore coxswain Drake Lem, freshman Sean Callaghan, sophomore Alec Petty, freshman Jackson Lytle, freshman Bryan Brennan, freshman Frank Chang, freshman Sam Merrill-Palethorpe, freshman Hank Wong and sophomore Jon Baker powered through to get the win. In the same race, the men’s JV eight “B” boat, or “3V,” of freshman coxswain Isa Batki, sophomore Carson West, sophomore Ian Skelton, sophomore Eric Simmons, sophomore Skylar Waidhofer, junior Robert Faris, sophomore Blake Branine, freshman Nick Baltar and sophomore Tynan Rodger placed fourth with a time of 6:36.2. The women are back in action on May 8 as they travel to Philadelphia for the Dad Vail Championships. The men return to competition on May 16 as they travel to Rancho Corvado, California for the Western Sprint Championships.